A devastating new book…. 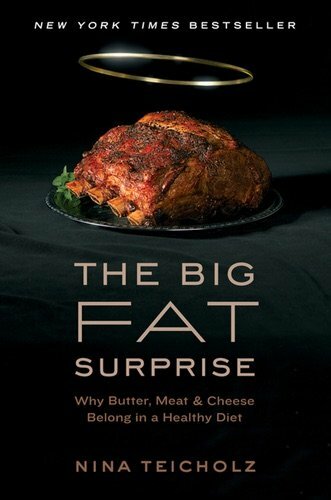 (The Big Fat Surprise) shows that the low-fat craze was based on flimsy evidence. Nina Teicholz, an experienced journalist who spent eight years tracking down all the evidence for and against the advice to eat low-fat diets, finds that it was based on flimsy evidence, supported by an intolerant consensus backed by vested interests and amplified by a docile press.